ASUS ZenFone 2 is attempting to take the smartphone experience to the next level with its hardware & software efficiency. I am damn impressed with the premium look of the gadget. The Zenfone 2 boasts of 5.5-inch full HD 1080p IPS (In-plane switching) display, well protected by Corning Gorilla Glass 3 panel keeping its bezels and the row of capacitive keys safe and sound from external jerks. The 72% screen-to-body ratio for optimum visuals is worth drooling over. The placement of volume rocker thoughtfully placed beneath camera shutter is something novel I noticed ever. The Asus Zenfone 2 sports slightly curvy removable back panel that minimizes the chances of messy fingerprints and smudges due to its brushed metallic finish. Its 3.9mm incredibly-thin case around the edges is rounded so systematically that will ensure best grip in one's palm and will be a promise of ultimate smooth handling without compromising in style. Thats the reason, I am already thanking its Ergonomic Arc design. Realizing the importance of Cameras in our lives today, Asus has drastically perked up the picture-clicking capability of Asus Zenfone 2 with a 13MP PixelMaster camera and f/2.0-aperture that proudly owns world's best low-light and HDR modes to work with. The 5-megapixel font camera is with wide angle lens is best suitable for the group selfies. Now talking about power-packed performance, Asus Zenfone 2 enriched with its 2.3GHz 64-bit Intel Atom™ Z3580 processor and 4GB RAM can give an instantaneous upward propelling to anybody's routine smartphone interaction including gaming, net surfing, entertainment etc. An aggressive the 3000 mAh battery with a support of BoostMaster fast charging technology won't let the energy of your phone go down any moment in the midst of your marvelous experience. Fret not, even if your apps are sucking all your phone battery too rapidly, because the phone is claimed to be charged from zero to 60 percent in just about 39 minutes. Finally a worth mention aspect that no one can miss out. 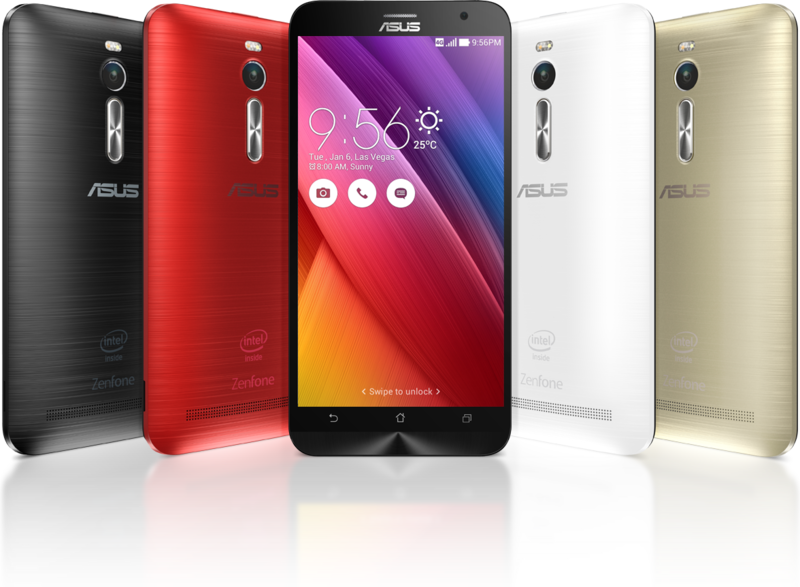 The Asus Zenfone 2 will enter the markets with a new version of the ZenUI which is built atop Android 5.0 Lollipop. The brilliant working experience on one of most responsive software can be customized with numerous personalization options to cater the Zen UI to your fine taste. It comes with customised system apps, unlock gestures, double tap to wake-up and ZenLink apps to connect the phone to a PC. So many mind-blowing features in a lil handheld gadget can be called nothing less than a giant leap towards unbeatable smartphone experience only with ASUS ZenFone 2 :) And I am truly tempted to say #CantWait4Zenfone2. For some more exclusive details, follow the link here.